‘Ere London, this is Bedmo! 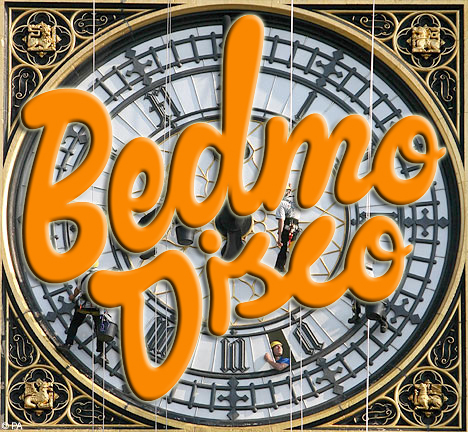 Good denziens of That London, BEDMO DISCO are coming your way! This Saturday, June 26th, we head East for another Big Chill Bar, Brick Lane session. This time round, we’ll be celebrating the launch of Bedmo Disco Records with a summer sizzler of gargantuan proportions. Taking over the decks after the World Cup Football game has finished, we’ll be mixing up a fine selection of delicious summer tuneage – think real disco, boogie, electrofunk, hip-hop, soul, funk, reggae, downtempo beats, dancefloor bangers, random rock, pointless pop and everything in between. If you’re in London, head down for a few beers/rum and gingers, a bit of a dance and one of those ace bagels from the all night bakery! Mmm, salt beef!